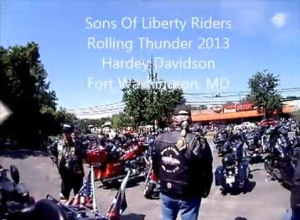 Sons of Liberty Riders Joins Impeach Obama Now! Coalition | Stop Obama Now!! ← Why is It So Difficult to Form a Movement to Impeach Obama? The California State President of the Sons of Liberty Riders, Michael Degrood said today that he had received permission to say that the group is joining the Impeach Obama Now! Coalition. SoLR is a nationwide organization with about 7,500 members. A coalition is a pact or treaty among individuals or groups, during which they cooperate in joint action, each in their own self-interest, joining forces together for a common cause. This alliance may be temporary or a matter of convenience. A coalition thus differs from a more formal covenant. Possibly described as a joining of ‘factions’, usually those with overlapping interests rather than opposing.